On your school website governor information needs to be presented to meet the statutory school website requirements. There's lots of useful and helpful information that should be published listed in the requirements. However there's more to your governing body than their pecuniary interests and meeting attendance records. In this post we'll review how to most effectively present your school website governor information to enhance your website, and show the important role your school governors hold. I've already alluded to the idea that your school website governor information pages should be more than just the minimum statutory requirements. But to be more than that the statutory information needs to be included. For more details on this required information make sure you make use of our resources, including our School Website Compliance Software. Technically part of the statutory requirements but worth an additional mention. The statutory governor information published on your school website needs to be provided in a ‘readily accessible’ form. So make sure you provide the information for this requirement in this format. Not buried away in documents aren't viewable on the website (instead require a download to the visitor's device to view). The document groups functionality built into our system will help you meet this requirement. Is your governor information clearly laid out and split into sections? It's not a problem to display all of your governor information on a single page on your website. However what you might find is that there's just too much information on a single page. This can discourage visitors from reading your content, or make it more difficult for them to find specific information that they are looking for. Sectioning your content will be key to overcoming this obstacle. 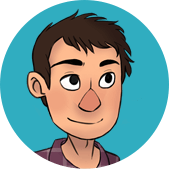 Split the content into different pages, or separate the content on the page into clear blocks or areas of content. Split meeting information into one section that includes public minutes and the meeting attendance records. Have another section about relevant interests and appointment dates. Make sure the sections are titled with clear headings. Now the layout and appearance has been improved it's really important to make sure that this information is easy to find. Your school website governor information should be located in a logical place on your website. What is logical will be different for each school, and dependant on the existing menu structure. Ideally governor information only makes sense within one top level item in your site structure. (If that's not the case consider rationalising your menus to make it easier for visitors to find what they're looking for on your site). If your governor information is split into multiple pages an introduction page that links to more detailed governor information pages can be helpful. If you have About Our School and Information, it's not immediately obvious which one might contain governor information. Consider rationalising an existing menu structure to make your website more usable for your visitors. After following the above tips your school website governor information should cover the minimum requirements, with clearly divided content and be easy to find within the site structure. Then you can focus on making it the best it can be! The first governors page is usually a good place, with options to view different governor information on pages within the section. Easy to achieve with the Schudio people module - see more here. Related content is ideal for achieving this. Tagging a relevant main school news item with the governor tag to display relevant news articles published on the school website in the governors section. Almost an advert for governors. This could be when you have spaces on your governing body, or when it's time for re-election. Explain the types of governor on your governing body in easy to understand, education jargon free way. And the process for each type of governor to join your school's team. 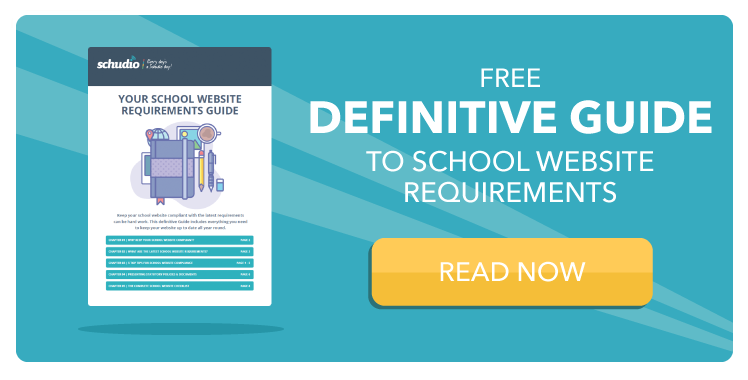 For more information regarding wider School Website Requirements take a look at our definitive guide.